The winter months are coming up fast! And with that, we start to pull out our winter wardrobes. But if you’re starting to get a little tired of that coat you’ve had for years, maybe it’s time to upgrade to our exclusive packable puffer! Lightweight and toasty warm, our Market & Spruce packable puffer is a crazy cute and versatile fashion staple for when our thermometers start to drop--and bonus: it really is packable! 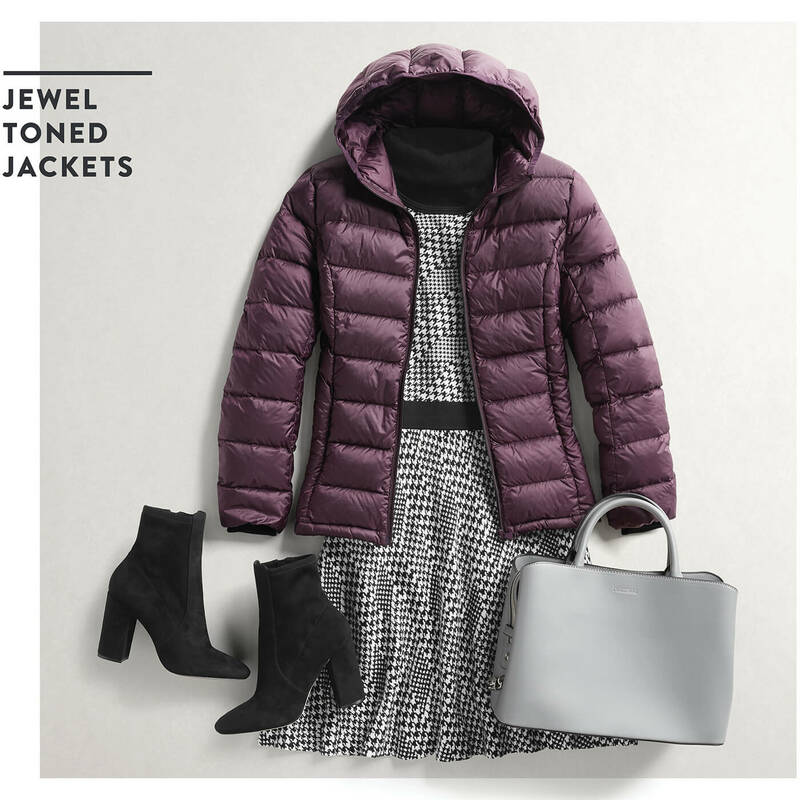 Keep reading to see how you can style a puffer jacket! Wear it to work. Does the cold-commute-air keep making you question your outfit? 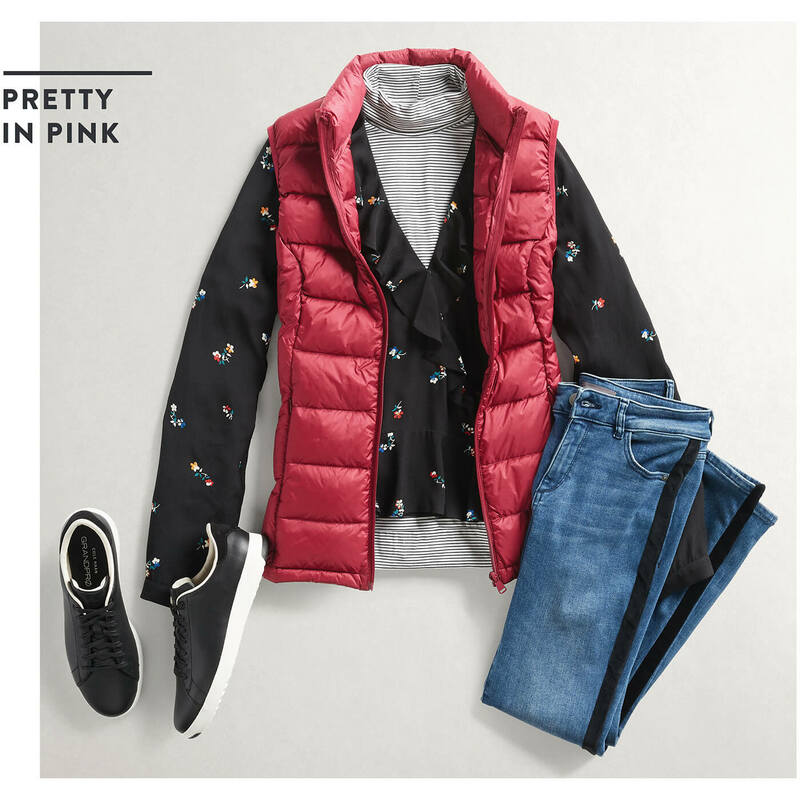 Layer up with a colorful puffer. Adding a little color is an easy way to brighten up any workwear outfit, and it’s even better when it actually keep you warm. 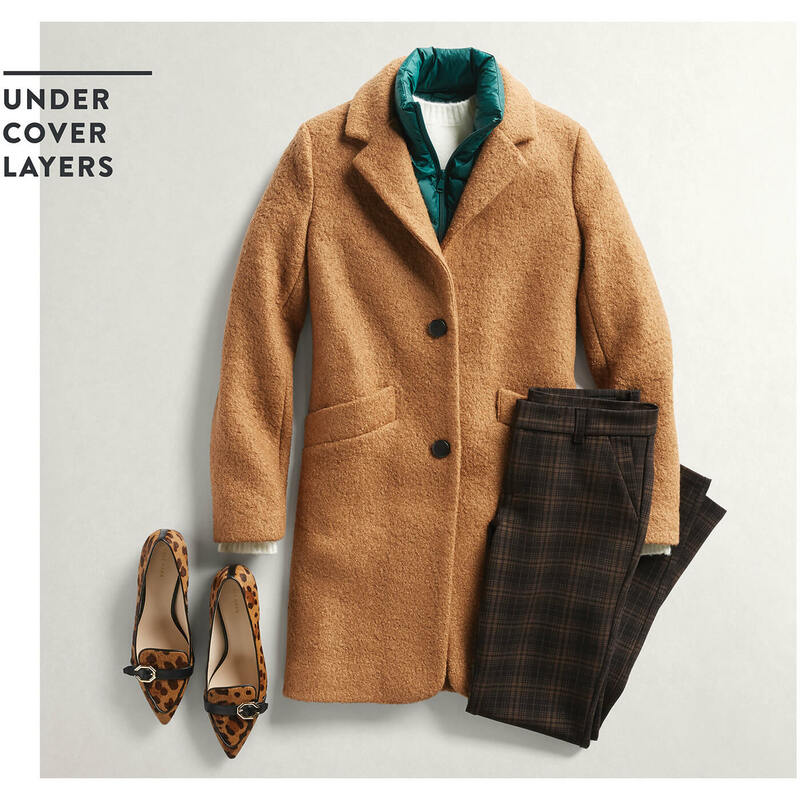 Go ahead and keep that office thermostat low–your adorable jacket is keeping you cozy. Keep things casual. Grab the packable puffer when the usual sweater layering just isn’t going to cut it. We know you still want to look cute, even when there’s no real reason for it. If you live in a place where the temperature fluctuates a ton throughout the day (freezing morning, warmer afternoons) you can always tie your puffer around your waist—the lightweight technology keeps it from looking bulky! …And under. Packable puffers don’t have to be jackets—we have vests, too! Try layering a bright & cheerfully colored vest under an outfit with a mostly neutral palette. Stylist Tip: Vests keep your core warm. If you find yourself doing quite a lot of brisk walking (we sure do when it’s cold!) a vest is a great way to ensure you don’t freeze, but do get some ventilation for when you arrive at your destination. Love these looks? 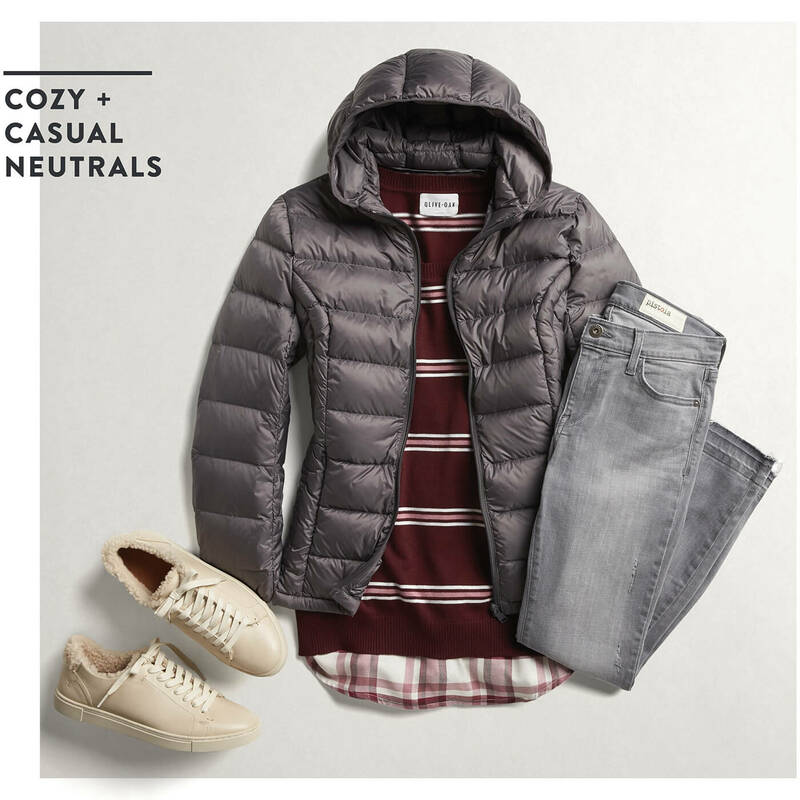 Ask your Stylist For a Market & Spruce packable puffer in your next Fix!